Washington Institute of Dendrology Research . A scientific and educational nonprofit corporation providing facilities and vital funding for pathology research to find better ways to control and/or to eradicate many of the most damaging invading tree diseases and insect infestations that harm our forest and landscaping trees, and our fruit and nut trees. Looking for construction equipment or that special tool, and at prices that you need? Browse though this expanded list of our construction contractor's equipment and tools to find what you need. Construction Contractor's and Home Owner's Supply has construction equipment, hardware, power and hand tools, plus exceptional tool values. Lübecks Bookstore's excellent selection of stone, masonry, and timber construction books. This is our highly recommended choice for a good bookstore providing books on stone masonry, timber framing books, and building with logs. Plus engineering and construction books and manuals. Engineering books, Reference books and handbooks, Scientific books and textbooks, Mathematics books, Law books, Medical books, Business books, Professional Encyclopedias and Journals, and other books for professionals. Visit this store for books, music CD's, movies, home and office electronics, computers, cellular phones, professional software, computer & game software, hardware, power & hand tools, clothing, magazines, toys and games. Offers an extensive selection of more than 500,000 unframed and pre-framed art, fine art prints, wall posters, wall tapestries, and photographs, in hundreds of popular categories. Including art works showing log structures and buildings. Choose your own custom frames from countless combinations of framing and matting materials. This site, Old Castle Shop, is a source of information, ideas, and additional help for those brave and daring builders who are planning to build, are building, or perhaps do own and maintain a medieval castle. 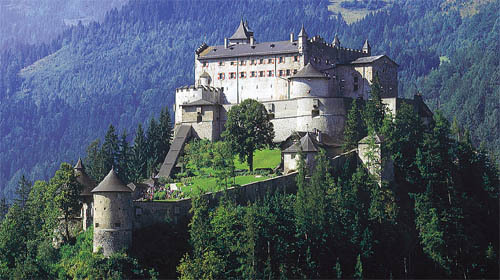 We are talking real full size stone and timber medieval castles designed and patterned after existing castles in Europe.